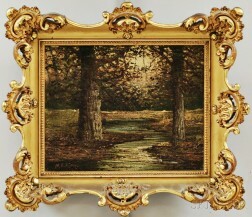 Save your search - find out immediately when "Woodland Stream" is available at auction! 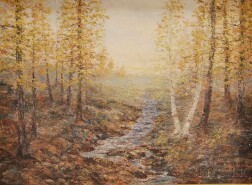 American School, 20th Century Woodland Stream. George Albert Frost (American, 1843-1907) Woodland Stream. A. Emil Prinz (American, b. 1856) Two Hunting Dogs (English Pointers) by a Woodland Stream.